With the American rapper confirming a Liverpool date, Getintothis‘ David Hall looks ahead to September. 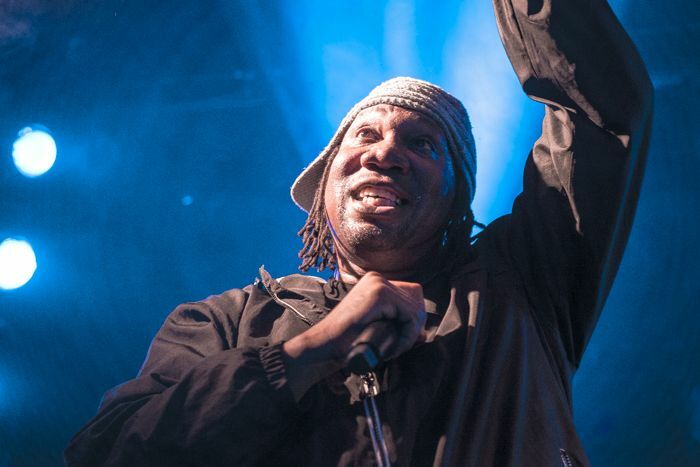 KRS-One is due to finish a run of shows in the UK in mid-July, including gigs in Leeds, Glasgow and at London’s O2 Forum, but is now slated to return to Liverpool in an Arts Club show on September 22. Releasing his twelfth solo album Now Hear This last year, New York-born Lawrence Parker remains an outspoken and respected name in hip-hop culture, in a career that spans over 30 years. Starting out as one third of the hip hop group Boogie Down Productions, the project quickly became more and more focussed upon KRS-One‘s MCing, until the release of his first solo material, the critically-acclaimed Return of the Boom Bap in1993. KRS-One plays the Arts Club on Thursday, September 22 2016. Tickets are on sale from 10am on Friday, July 15.